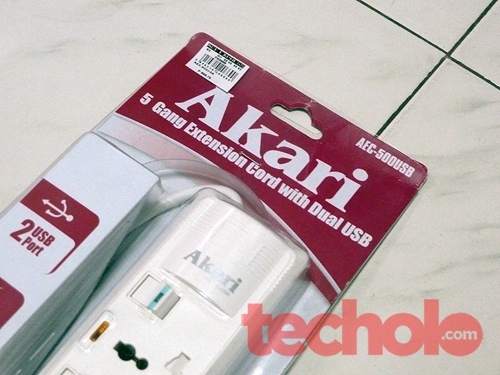 If you’re like me and in need of a multiple power strip for your devices then you’ll probably want Akari’s 5 Gang Extension Cord with 2-USB ports. 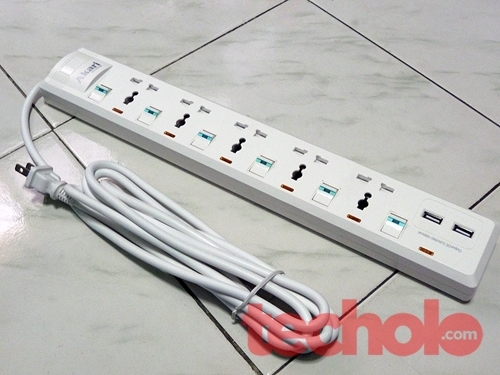 I think this is one of the best extension cords for those who has USB charging gadgets simply because it provides two 5 volts USB charging slots. So far I’m impressed with the quality. The buttons are easy to press using my feet toes :) and its using the standard 2-prong socket that fits into any electrical outlet without the need for a 3-prong adapter. You can buy this at Ace Hardware for 900 pesos. Note: the USB ports won’t charge the iPad or the TouchPad because of the higher power input requirement. 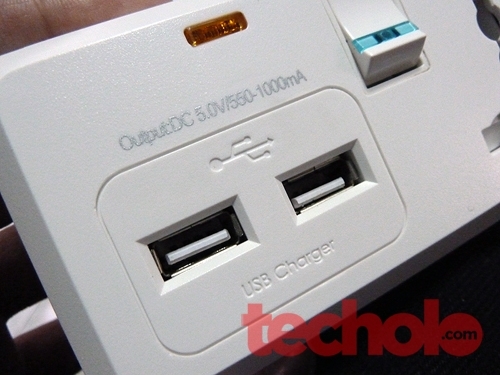 You’ll need to use the included chargers for both device.